In this video the Other Crypto Rich takes a look at LIVETREE ADEPT and how it might disrupt the entire film and entertainment industry. Ashley provides an overview of the blockchain and why it's important development for you. Compare them to the displayed contract address in your personal portal when the sale goes live. Re: [ANN] LiveTree ADEPT [SED] Token Pre-Sale Live! The thing about creativity is that it isn’t a product. You can’t capture and bottle it like an artisan gin or an indigestion remedy. Creativity comes from people’s hearts and minds. It’s about confidence and self-belief, and it’s fragile and elusive and easily scared away. How strange, then, that a large part of the global entertainment industry — with the noble exception of high-end TV drama — is committed to commoditising creativity. The reason, of course, is money: media corporations run on profit and predictability. Creativity doesn’t. It’s random and erratic and prepared to starve in an attic. From the corporates’ point of view, much easier to reign in those pesky creatives and replace their dangerous, disruptive ideas with nice, safe content that looks much like everybody’s else’s. It may not win you awards or inspire your audience or add to the watercooler conversation, but it won’t frighten the horses — or more to the point, the bean counters who now run the show. So yes, it makes sense on paper. But it’s still a really bad way to go about creating content that people actually want to watch. Livetree ADEPT wants to re-imagine how film, tv shows and documentaries are made. Starting with an established crowdfunding platform in the UK, Livetree ADEPT wants extend that to a full service platform with its own video distribution platform (Blossom TV) and film incubator (LiveTree Incubators). Livetree uses the Ethereum blockchain as a base for smart contracts. London, December 4 2017, LiveTree’s film, TV and content business captured 5% of the UK entertainment crowdfunding market in the last 2 years. It has fostered several high-profile partners including The British Film Institute, Red Rock Entertainment, the Screen Arts Institute, and 14,000 industry suppliers worldwide. The existing business will be migrated to LiveTree ADEPT. 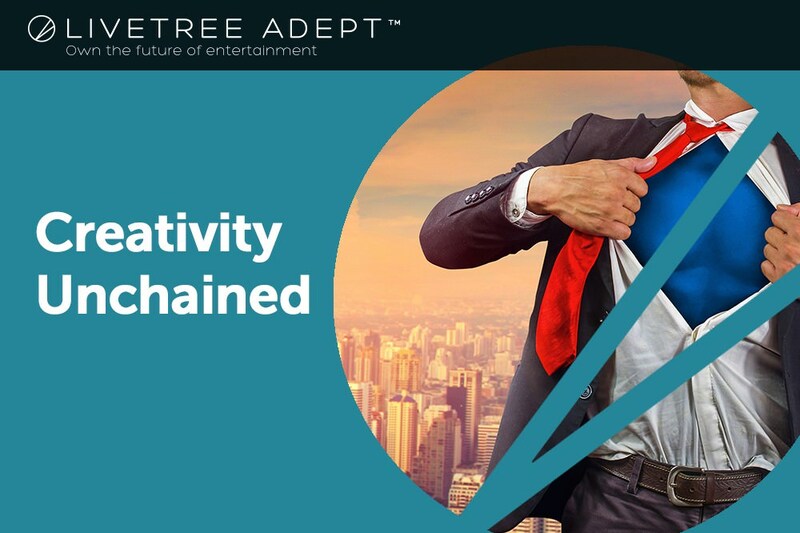 Token Pre-Sale: LiveTree ADEPT -- "Own the Future of Entertainment"
We have another drop in with Ashley of Live tree to see how their Pre ICO is going. Remember, they are an already functioning business and have captured a great deal of the marketplaces. Keep your eyes on these guys! Thanks again for your interest and support in LiveTree ADEPT. As you may know, we started the LiveTree Seed crowdfund sale on Dec. 1st 2017. Several supporters have been trying to buy LiveTree Seed but have seen a slowed down in transactions. We wanted to let you know, the Ethereum transaction network is currently experiencing some congestion because of a new game that lets people buy virtual cats! Believe it or not this craze has driven up the gas price! You can think of the gas limit like the amount of liters or gallons of gas for a car. You can think of the gas price as the cost of that gallon of gas. The gas limit should always be 300,000, however, the gas price may change. Use this monitoring tool to find the latest price. At the moment, we recommend using a gas price of 51 Gwei. LiveTree ADEPT ICO Review : The world's ﬁrst community-powered, film TV and content network. LiveTree is an established, socially responsible crowdfunding company based in London, UK. Over the last two years, it has captured 5% of the UK crowdfunding market (in the film and content category) and forged partnerships with several leading names in entertainment, including the British Film Institute Future Film, the Screen Arts Institute, Red Rock Entertainment and 20 independent organizations. LiveTree’s film, TV and content business was established 2 years ago. 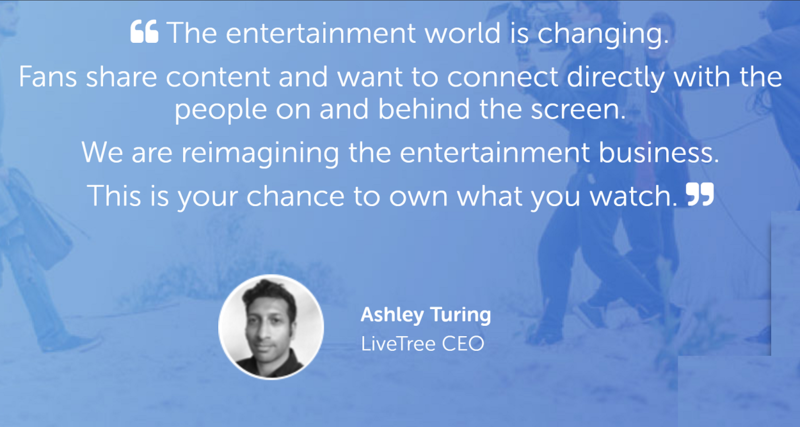 LiveTree has already captured 5% of the UK entertainment crowdfunding market ($1bn global market). LiveTree ADEPT is the next generation of the platform built on experience from our proven existing business. The new platform, ADEPT, goes beyond crowdfunding and utilizes the blockchain to lower fees, remove costly contracts and introduces the world’s first end-to-end, distribution platform ($500bn global market). Over the last 2 years, LiveTree has established several high-profile partners including Red Rock Entertainment, The British Film Institute, Film London, the Screen Arts Institute, and 14,000 industry suppliers worldwide. Less than 2 days to get in on the pre-sale! Congratulations and thank you, we have done it! We have now raised over 280K and surpassed our initial dollar target by nearly 50K! We have already started on the development and cannot wait to start sharing with you the beta version of the platform. We expect it to be ready before the main sale! This will help foster even more support from our industry partners and the community. With 30 hours to go, you still the opportunity to participate in the pre-sale. Not to forget there is a huge 50% discount only available in the pre-sale, bonus scheme and lottery! The Livetree Adept pre-sale has successfully hit it's first goal! As a result, the project will be moving forward, and is already working on some very exciting things like new movies, and the beta, coming soon!